Deputy Minister Mir Amanudin Haidari speaking at Stakeholder Planning Workshop. 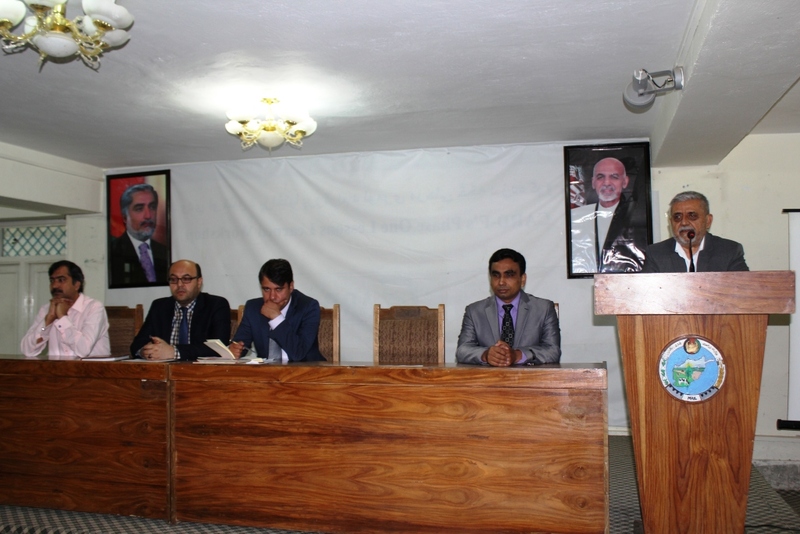 Abdullah Wajidi, the acting director of Afghanistan Agricultural Inputs Projects (AAIP), who are funding and coordinating this survey, stated that the survey is an important part of the AAIP’s work. CABI has been selected to carry out this work in collaboration with Plant Protection and Quarantine Directorate (PPQD) and other MAIL departments. CABI organized the two-day ‘Stakeholders Planning Workshop’ with an objective to finalize the survey implementation plans and methodologies with inputs from the technical teams of all MAIL departments as well as the University. Afghanistan recently gained World Trade Organization (WTO) membership, and it is a membership prerequisite to identify and list all plant pests and diseases prevailing in the country. Muhammad Faheem, CABI Country Coordinator for Afghanistan, explained that this survey will not just identify pests and diseases but also collect detailed data on their locations and the crops affected. The survey will be conducted over two years, and will study plant pests and diseases on all manner of hosts (including field crops, vegetables, fruit orchards, forests, veterinary farms and stored grains), and in all terrains. A national database will be developed to record all the data gathered and a national museum will be established to preserve all the samples for future research.